I have been around almost as long as Morse and Marconi, it seems! But it's been a fun road. My Elmer who taught me the Code was none other than my Uncle Ed Wissmiller, formerly 8CEH. I started learning the Code at about age 11. My brother and I would send Code to each other using a telegraph key, some wire, a couple flashlight batteries, and a #47 bulb mounted on a piece of wood. At age 16, I got my Novice ticket, WN8REI and a year later, my General ticket. I'm a graduate of Western Michigan University. Immediately after graduation, I was drafted into the U.S. Army in 1970. I served as an Enlisted Chaplain Assistant, first at Stewart Field, New York, then at Robinson Barracks, Stuttgart, Germany. 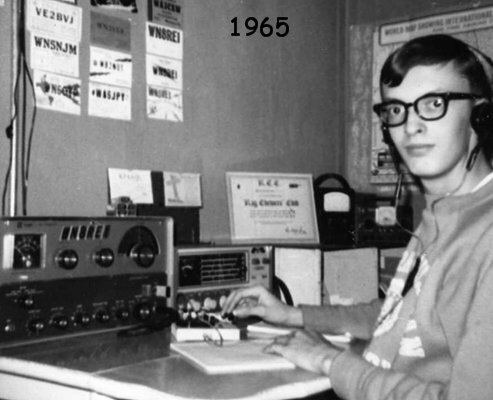 I was a founding member of ARCOS (Amateur Radio Club of Stuttgart) and held the callsign DA1KL while there. In November 1972, I began a career with the U.S. Postal Service, working my way up the ranks to Letter Sorting Machine Supervisor. I served as "acting" shift superintendent on many occasions. I was promoted to Shift Superintendent and placed in charge of the daytime shift at the Saginaw, MI mail processing plant, with 3 supervisors and a crew of 75 people under my direction. I retired in 2002 after 30 years with the company, with military time and sick leave also credited for a total of 33 years of Civil Service. I have taught private piano lessons through the years, am a professional keyboardist, professional church organist. I have a beautiful grand piano in the center of my 26 x 26 foot living room. Other interests include snowmobiling, hiking, camping, backpacking, travelling in my motor home, and generally being out-of-doors. I purposely don't watch over an hour of TV in a week because I feel it is a total waste of my life. Ham interests now include QRP portable operating, relatively high speed Morse Code (sending 35 wpm and copying about 40 wpm), doing many public demos of ham radio, QRP contesting and QRP DXing. 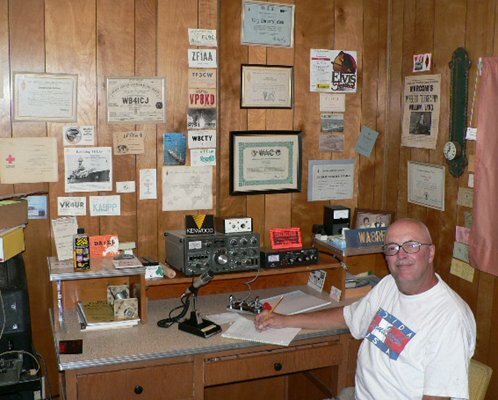 I celebrated 40 years of ham radio last summer. In the summer of 2004, I went on my first DXpedition ever: to the Shetland Isles between Scotland and Norway. I hold the callsign MM0KAL. I had a wonderful time, staying at two different lighthouses, as well as at the home of my host, Peter Leybourne, MM5PSL. I plan to return in summer 2007. I have maintained the annual renewals of my U.K. callsign. I am single, have 4 nieces, one nephew and one grandnephew.